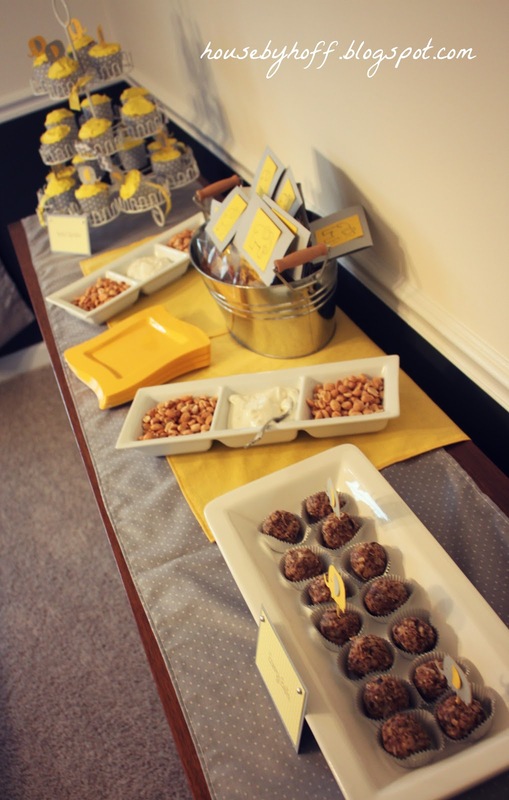 Another cool thing about my friends is that quite a few of them are crafty, creative, and great party planners, which was obvious at a baby shower I attended recently. 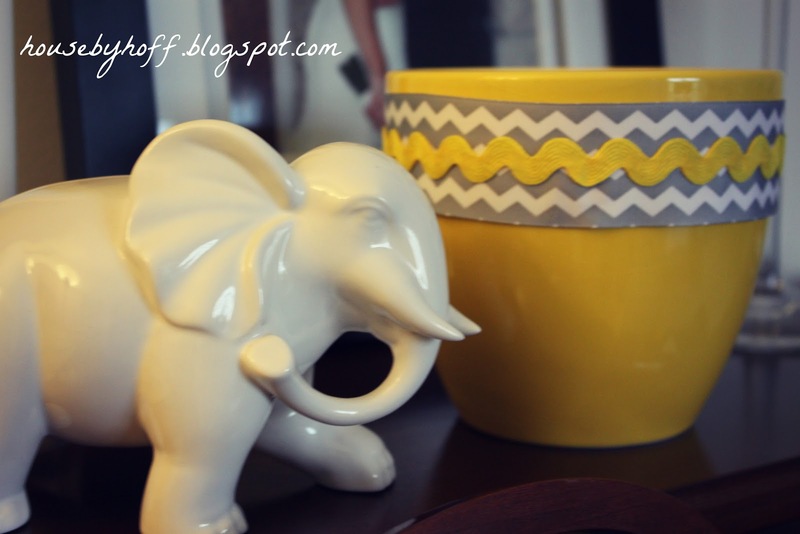 The theme was elephants, and the colors were gray/yellow. Isn’t that the perfect color palette for a gender neutral shower? You just can’t go wrong making tissue paper poufs and hanging them over the food table. Cupcakes! The cupcake liners were purchased at T.J. Maxx. You pour the cupcake batter right in them (no more than halfway full!!!) and bake according to directions. All of the elephant cut-outs were made using a cricut…I’ve got to get one of those. An easy decorating idea for showers is to do a clothesline with baby clothes that correspond with the nursery/party colors. Annette also did this for my pink/green birdie shower. This was so sweet! 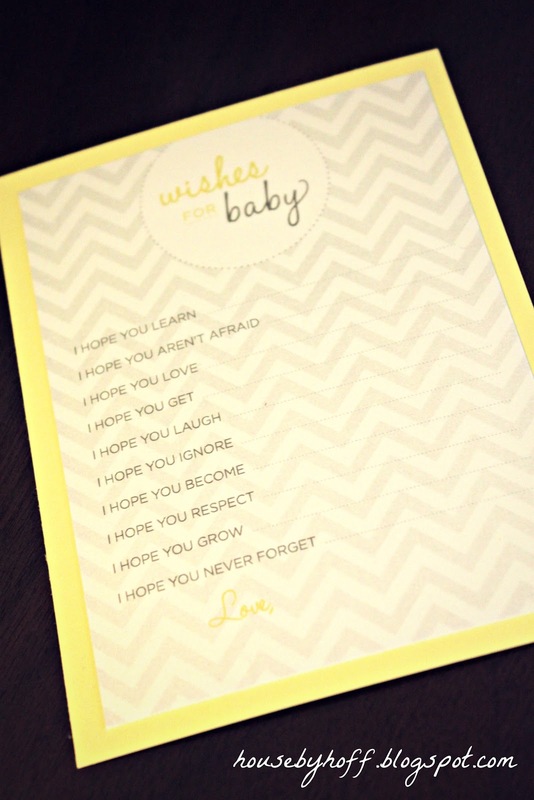 Each attendee filled this out for the baby. 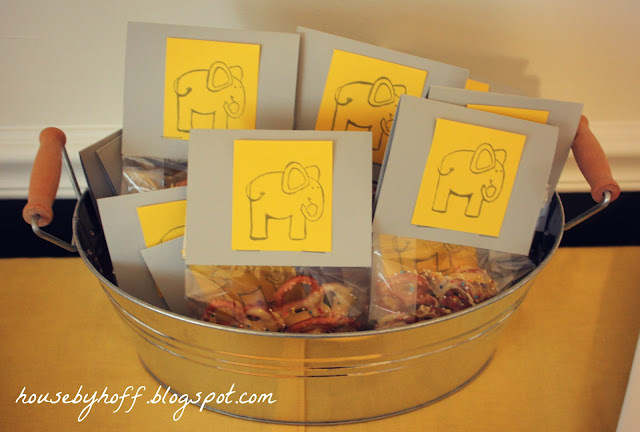 Party host, Annette, will bind them all together to make a little keepsake book. The day was a success, and baby got lots of great gifts! I’ll be featuring the nursery sometime soon! To download blue, click here. To download yellow, click here. To download pink, click here. This was so cute. I love the colors. I know! I can’t take any credit on this one! 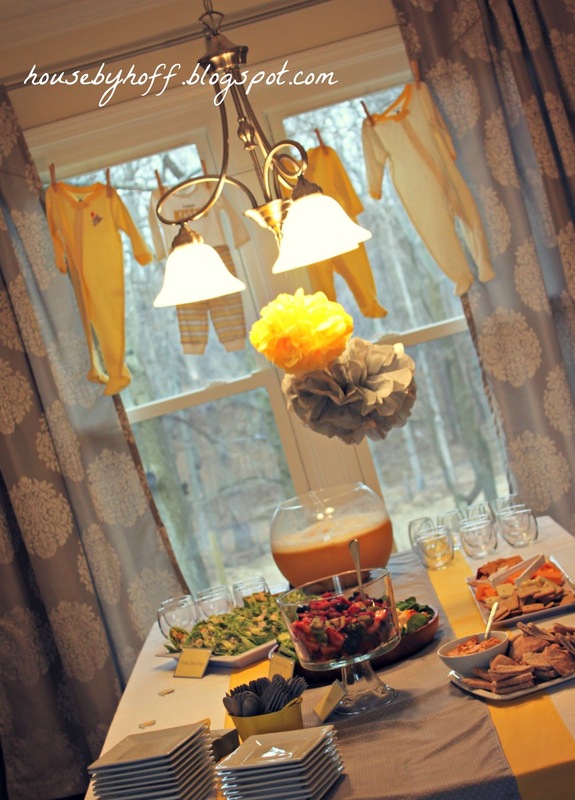 I’m going to a baby shower next weekend, and the theme/colors are the same….it’s what’s trendy in baby-land! I love this! These are my colors too, I’m not finding out what I’m having, but I’d probably still do this theme if I knew! 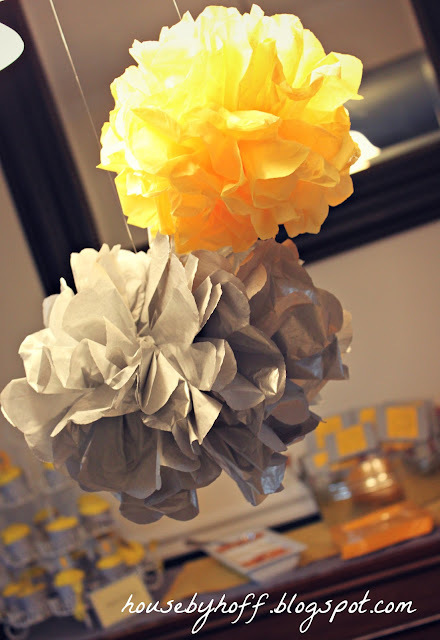 Cute ideas i am keeping this in mind when i throw a gender neutral shower this spring thanks! 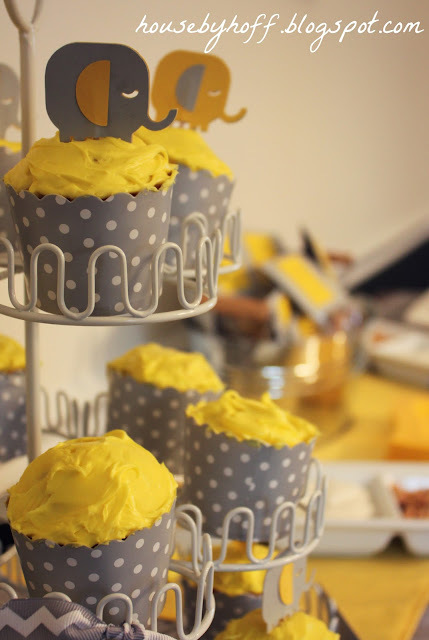 I love gray and yellow. You have such a pretty blog, too. Glad I found it! What a fabulous shower!! You did a terrific job!! 🙂 Pinned the baby shower printables ~ thanks for sharing!! So cute and fun! I already chose your chalkboard sayings to feature this week, but this is so awesome too!